A new era could be about to unfold in the Highlands after it was announced today that Inverness is to benefit from more than £6.5 million as one of the winners of Sustrans’ Community Links PLUS competition. In a surprise move, Scottish transport minister Humza Yousaf declared all five finalists worthy winners and funded all of the projects, totalling more than £22 million. 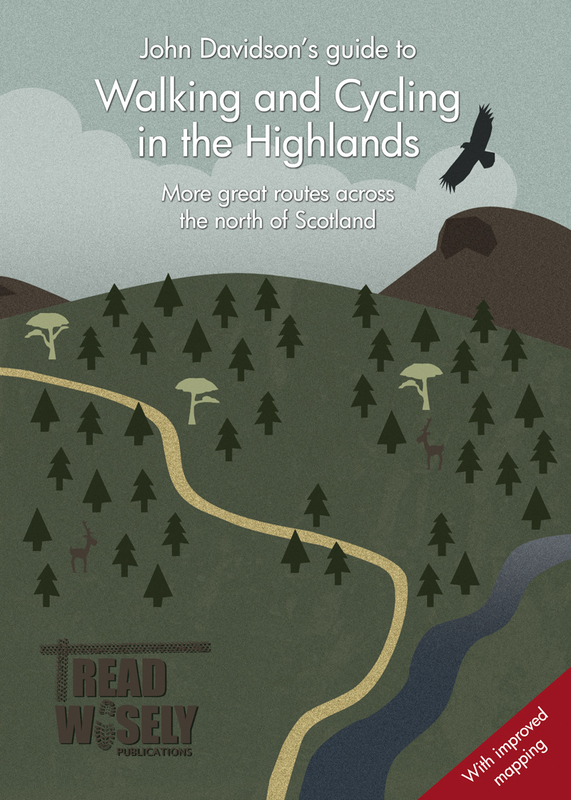 The money coming to the Highlands will see a number of high-quality pieces of Dutch-inspired cycle infrastructure and road changes become a reality. This isn’t just a good new story for the small band of cycle campaigners and somewhat larger band of regular cycle commuters in Inverness – this step-change in approach to building cycling into the transport system could fundamentally change the places we live, and the way more and more people travel for work and leisure. Inverness is a growing city and, with the A9 on its way to being fully dualled from the south, this trend looks likely to continue. Thousands of new houses are already in the pipeline across the city. That means thousands more people will want and need to get into and around the city centre each and every day. Even if we were to control emissions by converting every single car to electric overnight, this influx would still lead to a monumental congestion issue in our already crowded city centre streets. The solution is not to offer free parking and encourage more people to travel into the city by car – it is to change the way we transport people around the city. It is not a complex solution but it is one that requires political will. Cycling gets to the crux of the issue. In tandem with improved public transport, it saves space – more people can be transported in bike lanes than in multi-lane carriageways. As a bonus, emissions are zero and the health of the population improves. The Scottish transport minister Humza Yousaf boldly doubled the spending on active travel recently. Even then, that will still be less than 4 per cent of the transport budget despite a Scottish Government target to have 10 per cent of journeys by bike by 2020. 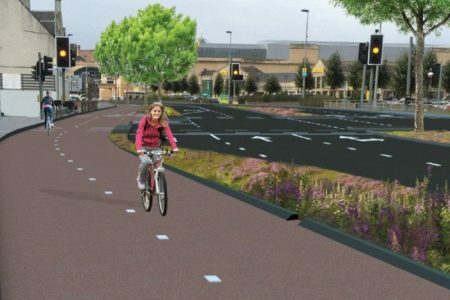 Still, today’s announcement is a huge step in the right direction and the decision to award Inverness £6.5 million for new cycleways, safer junctions and Dutch-style streets gives a real high-quality platform to build on. This should mean no more ‘white lines’ cycle lanes and token gesture infrastructure. The future is beginning and I’m delighted to say Inverness – along with sister projects in Edinburgh, Stirling and Glasgow – is going to be at the heart of it. I congratulate the Highland Council and HiTrans team for selling their vision of the Inverness City Active Travel Network so well and bringing hugely valuable and welcome funding to the Highland capital. 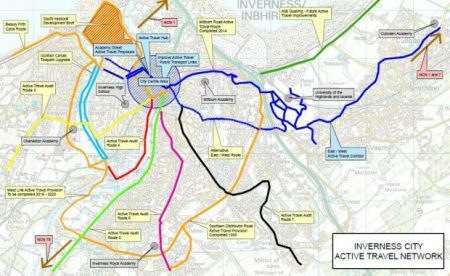 The ambitious proposal plans to strengthen the Inverness City Active Travel Network that connects all of the city’s communities with the centre, as well as developing seamless and segregated cycle-friendly routes along Millburn Road, Academy Street and the Raigmore Interchange. The plans propose a major overhaul of Millburn Road with the removal of one lane of general traffic in place of a fully segregated cycle path. A westbound bus lane and footpath will also be introduced, transforming the area into a less congested and pedestrian friendly area. A signalised junction will also become a feature of Millburn Road with separate signals for pedestrians and cyclists. Academy Street will also undergo a similar transformation with the implementation of a one-way cycle track with buffer zones off the main carriageway behind the parking and loading areas. The city-wide active travel network also plans to create a ramp from the Raigmore Interchange to the Golden Bridge that would see construction of a cycle and pedestrian friendly route to the Inverness Campus.